We specialise in the energy efficient restoration and replacement of heritage timber windows, and doors using a hybrid of services and budget. Every piece we create is to the highest quality, from design, manufacture through to installation. We are proud that most of our work comes through recommendations from our happy and enthusiastic customers. Our blend of architectural and joinery experience gained over many years has given us the unique ability to meet the exacting requirements of your project, whilst having a full breadth of skills that enable us to include any additional works you require. Structural glazing specialist. 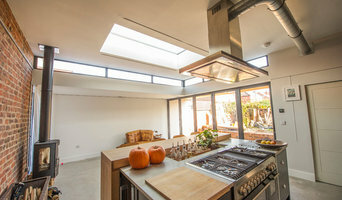 Specialising in unique installation utilising the latest innovative product to meet both aesthetics and performance of modern glazing system. We have an inhouse design and engineering departement to undertake all requirements, to meet the most demanding projects. 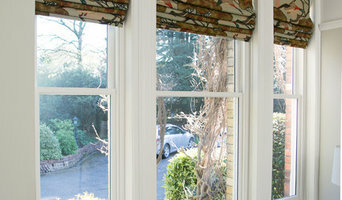 We are also installers of the skyframe system, millenium windows and X-Frame GRP windows,. Transform your home and break down the barriers between inside and out with superior design and quality from Haus Glass. Our complete range of doors, windows, roofing systems and blinds flawlessly integrate into your living space to deliver uncompromising and effortless style. Supplier and Installer of high quality Aluminium and Upvc windows and doors. 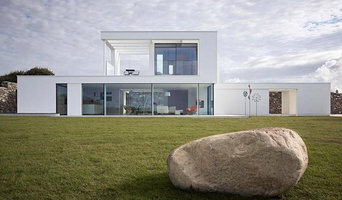 TAG Glass provides a wide range of innovative glass products for self-build, renovation and home improvement projects. We manufacture all of our products to bespoke sizes and specifications and we offer a free design and quotation service. Knowsley Art Glass Ltd is a family run business, established in 1980. As well as being Traditional Stained Glass Leaded-Light makers, we specialise in glass enamelling and the reproduction of Victorian Etched glass. All of our work is manufactured to the highest standards, using traditional methods only. We DO NOT use any types of acrylic colour or plastic films. We have used our knowledge within this particular field to revive lost skills and developed our ideas bringing us to the forefront of designing and manufacturing decorative glass. Although we are based in Knowsley we supply our products up and down the country, we are one of the leading stained glass and etched glass manufactures in the UK. We have accomplished many glass creations over the years, our main field being restoration, the knowledge we have acquired for restoring etched and coloured glass is endless. Our specialist field is the reproduction of Victorian etched glass, our bespoke service allows us to copy any Victorian design and reproduce it using our own techniques. Some of the Victorian etched glass we have reproduced in the past has fired enamel colours inlaid; this types of Victorian etched glass is very rare. We have made the most popular Victorian etched glass designs a standard product in our catalogue, this allows us to offer them to our customer’s at a more completive cost, thus keeping the costs down but still achieving an aesthetically pleasing product. Not only does the restoration work apply to Victorian designs but furthermore modern designs, traditional signwriting and company logos. Our most recent accomplishment locally is the restoration panels for the entrance to the Plaza cinema Crosby, we have also been involved in the reproduction panels for the The Lion Tavern Liverpool and we have been very lucky to get our etched glass onto the peaky blinder film set at the Liverpool docks. 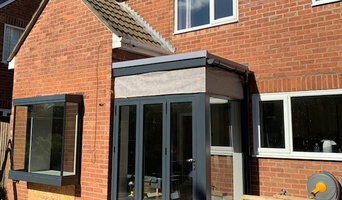 Express Home Improvements are setting standards in quality home improvements we offer various home improvement options such and conservatories, windows and doors, imprinted concrete driveways and more. Vista Panels have remained one of the one of the market’s leading supplier of high quality composite doors for 20 years now, helping tradesmen further standout from the crowd with many generous decorative glass options that make for some impressive personalisation. Astley Glass is a family run business which is still going strong after 43 years in the business. We are a company you can trust! We do not employ sub contractors. Vince, the owners son does all the fitting with his work mate Paul. No mess is left on site, we even do the hoovering. We pride ourselves on our workmanship. Ring now for a free quotation Vince or Trevor will call out, they will measure your windows and take window designs, then Tracy or Janette will send you the quotation by email or post. At DG Solarlite Ltd. we have earned a reputation of providing quality UPVC products servicing Westhoughton, Wigan and the surrounding areas, for many years. With over 40 years combined experience in installing windows, doors, fascia board, conservatories, orangeries and extensions. We are FENSA registered and SWISH approved installers with over a million pounds of local installations, we pride ourselves on quality and customer service. Welcome to Odyssey Windows & Doors, in Northwich, Cheshire. A family run business since 1993. We offer high quality design and installation of replacement windows, UPVC windows, double glazing, doors, porches and conservatories and the new modern Bi Fold Doors. We pride ourselves on providing a personal and excellent service. Samples and brochures are available to help you choose the right product along with appointments to suit. Call 01606 350 454 for 07764 221 662 for advice or to arrange a quotation. What can specialist window companies, glaziers or window fitters in Liverpool, Merseyside do for me? Specialist Liverpool, Merseyside window companies and fitters can diagnose problems and prescribe a choice of remedies, while keeping in mind factors such as the style of your property, ease of operation, budget, noise reduction, thermal efficiency (the lower the U-value, the better), durability and maintenance. It is a balancing act that only a glaziers can deftly strike. Most Liverpool, Merseyside window companies will be able to take care of both supplying and fitting your new or replacement windows, but if you have already purchased your windows from a window manufacturers then you can find a Liverpool, Merseyside fitter to just take care of the installation. Where can I find the best choice of Liverpool, Merseyside window manufacturers and window installers? Right here on Houzz. Look for Liverpool, Merseyside Windows & Double Glazing professionals in the Find a Pro category and then save images of window styles you love in an Ideabook. Take time to look through each window company’s profile and get a sense of where their strengths and specialisms lie. Make sure your window manufacturers’ work comes with accreditation: whether from FENSA (Fenestration Self-Assessment Scheme), FMB (Federation of Master Builders) or TrustMark. Find window companies and glaziers on Houzz. Narrow your search in the Professionals section of the website to Liverpool, Merseyside window companies. 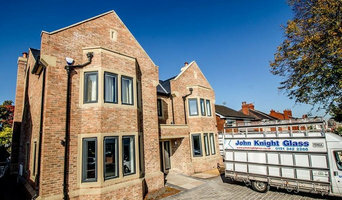 You can also look through Liverpool, Merseyside photos by style to find new and replacement windows you like, then contact the glaziers, window manufacturers or companies who installed them.